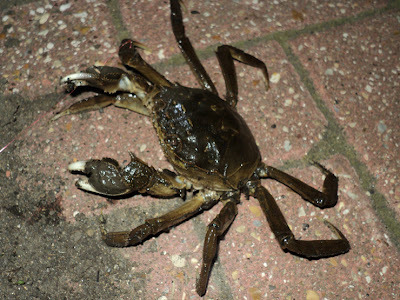 A Crab: Following the advice given to us on this blog and on the riverbank, combined with a bit of Google Earth research, myself and Dan set of to explore some new swims. We arrived during the final hours of daylight for a quick scout about before we settled down to fish. We split up and fished a couple of pegs apart. No bites until darkness fell when Dan missed a small rattling bite. Next up he's phoning from the swim downstream so say he has landed a crab! I went running down to get some photos - I caught one last year and the photo didn't come out so I wasn't missing this chance. 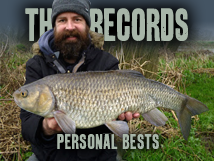 Next up Dan hit a barbel, the five we were after! Or so it looked in the water before it came off at the net - he needs to find a lucky penny or something - his luck has to change soon! 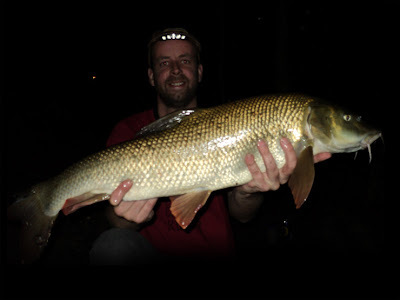 A Barbel: Meanwhile I was fishing just upstream when a guy walked up behind me and introduced himself, he recognised me from this blog and had been reading about the Barbel Challenge and our quest for a double. I can't name locations but, with his local knowledge, it turned out I was fishing painfully close to a good barbel holding spot. The scales pulled round to 11lb 4oz, I quickly slid the barbel onto the unhooking mat to weigh the net... 1lb 8oz... I awarded myself 9lb 4oz on the bank, and have since corrected my maths... A new Wandte PB of 9lb 12oz, so close to a double - but do I care about those four little ounces? NO! What a fantastic fish! I was more than delighted! Thank you so much Stuart. Thank you! After returning the fish I cast out again, after a while Stuart left, I sat there for another bite-less hour before calling it a day. And then Dan wrapped things up with an eel of about a pound. So the Barbel Challenge now stands at seventeen fish for 36lb 13oz and we have our eyes on a bigger prize - a Wandte double..! great fish brian,you deserved that with the amount of effort you put in to your fishing interesting to see which stretch it came from. Great fish, glad the advice helped. They go bigger than that though ;) fair play keeping the swims quiet, it only takes a bit of leg work and time on the bank to find them. I will say hello if i see you as i am often down that way. Theres more than the one holding spot down there as well and the fish tend to move around a lot, especially once they have had a bit of pressure. Sweet fish! I think Dan needs to be doing the Eel Challenge! Do you have to remove the crabs if you catch one? 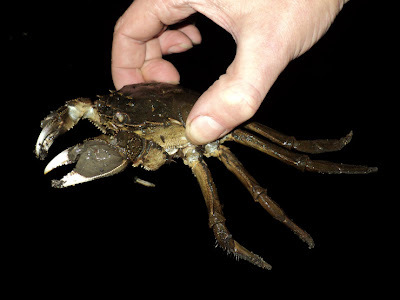 Are they causing problems like the alien Crayfish in some river systems? Cheers guys. I'm still over the moon! Found a few new places I'd like to fish, can't wait to get back down there. Darren I've email you. Dan hates eels, but he did unhook this one, must be getting used to them ;) And it was such a shame he lost the five, he had it beat - just no luck at all this season. The crabs are causing problems but we put it back, quite an effort to unhook it, it was so aggressive it kept leaping (yes, leaping) towards us - Dan distracted it with the touch so I could grab it (I get all the best jobs). Also Roger got his first double on Monday (from the Wye). Congratulations! Local knowledge is everything, following the advice on here and talking to people riverside got me to within 10 yards of that fish, and the advice on the bank that night put me right on it's nose - I can't thank everyone enough! Thought I'd haven been told off for putting the crab back, was careful not to mention it in the original post. Anonymous 1: I thought you were Stuart, but re-reading I see I haven't met you yet - look forward to meeting you riverside. 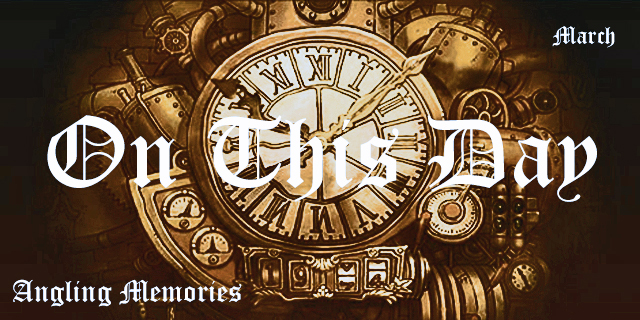 Anonymous 3: Does "." mean "don't put the f**king crabs back"? Brian, if I was to comment I wouldn't do so as "Anounymous"
Didn't realise you had a blogger account! I showed the photo of the nine pounder to my girlfriend yesterday, her first reaction "Why are you wearing a tiera?"